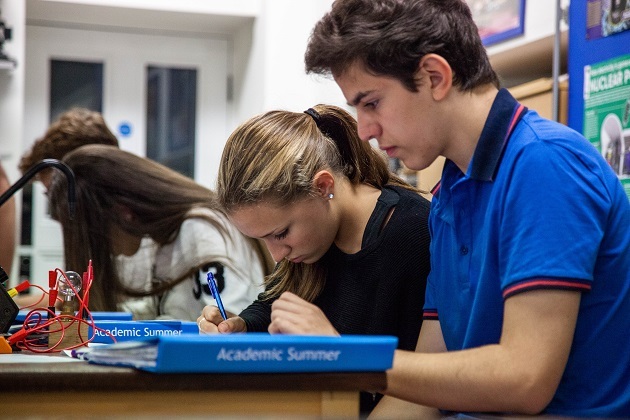 you are age 15 – 18 you will follow our IB / A Level programme. You have a choice of the following subjects. You need to choose your subjects prior to the course. We will write the timetable around your choices and you will have an individual timetable which is written to meet your individual needs. Do you like Art and Music or Economics and Maths or Physics and Chemistry? It is YOUR choice, it is YOUR summer! work together to help one another understand challenging concepts and functions. This programme is running at Sidcot School near Bristol from 8 July until 26 August 2017. For more details, please click here. If you wish to apply, please click here.